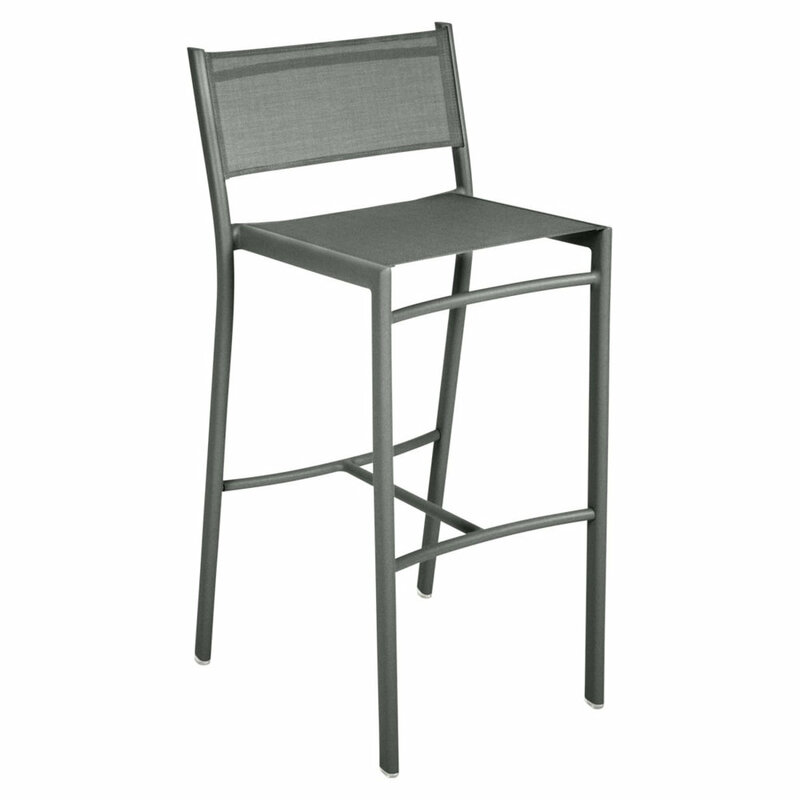 This Costa Stacking Side Chair has an aluminum frame and the seat and back rest are made of comfortable, tearproof OTF. This chair fits wonderfully with both Costa Tables. 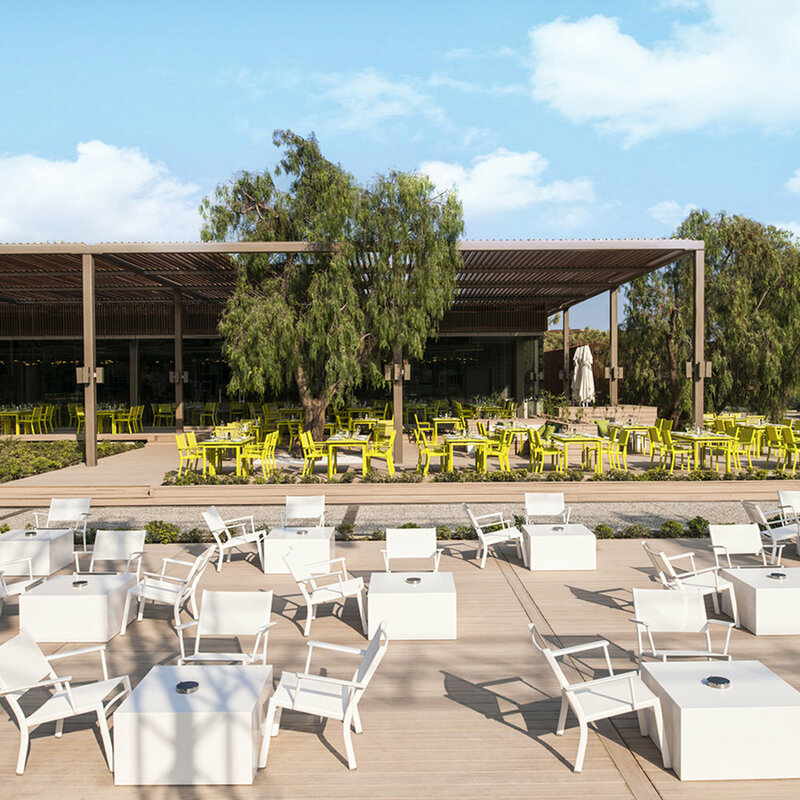 The Costa Stacking Armchair has an aluminum frame and the seat and back rest are made of flexible, tearproof OTF. This chair pairs perfectly with both Costa Tables. The Costa High Stool has an aluminum frame and the seat and back rest are made of comfortable, tearproof OTF. The Costa High Table fits perfectly with this High Stool. 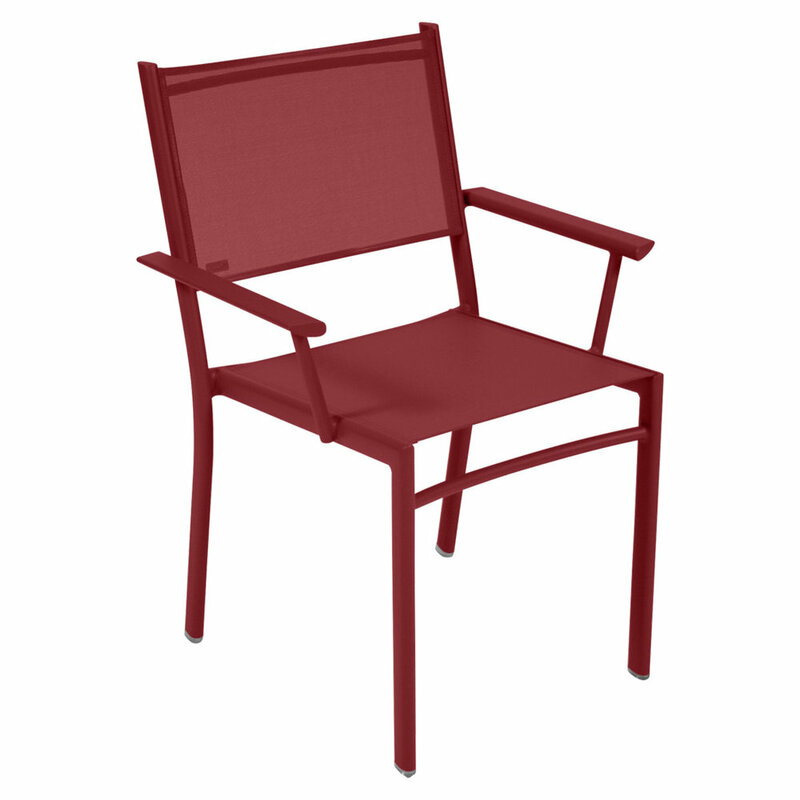 This comfortable Costa Low Chair has an aluminum frame and the seat and back rest are made of flexible, tearproof OTF. Perfect for lounging near the beach. 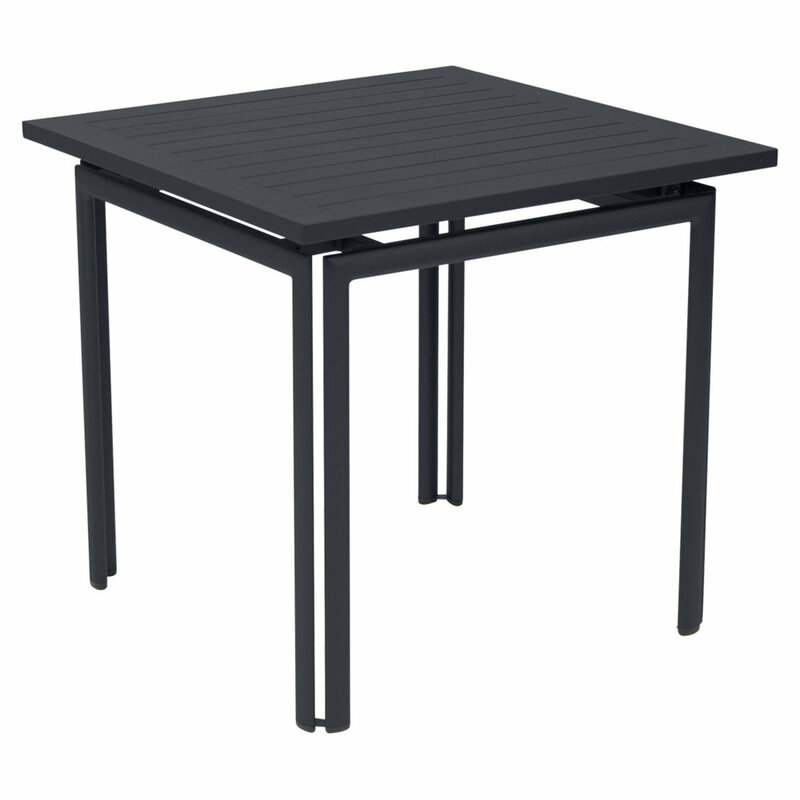 This Costa Table is 32 x 32" in size. It has an Aluminum frame and table top and can seat four people. 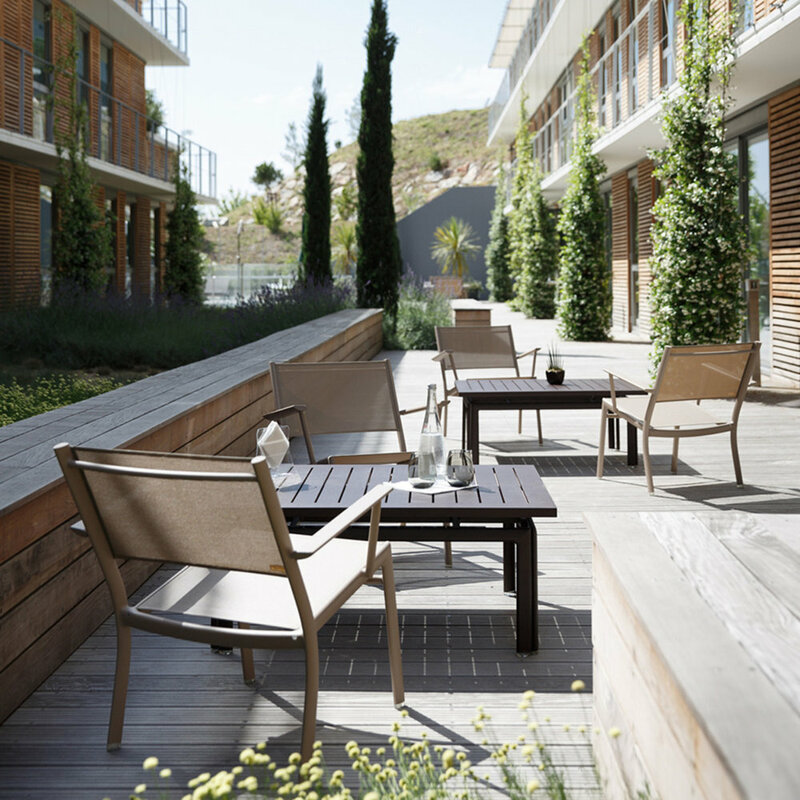 The Costa Stacking Chair and Stacking Arm Chair fit perfectly with this table. 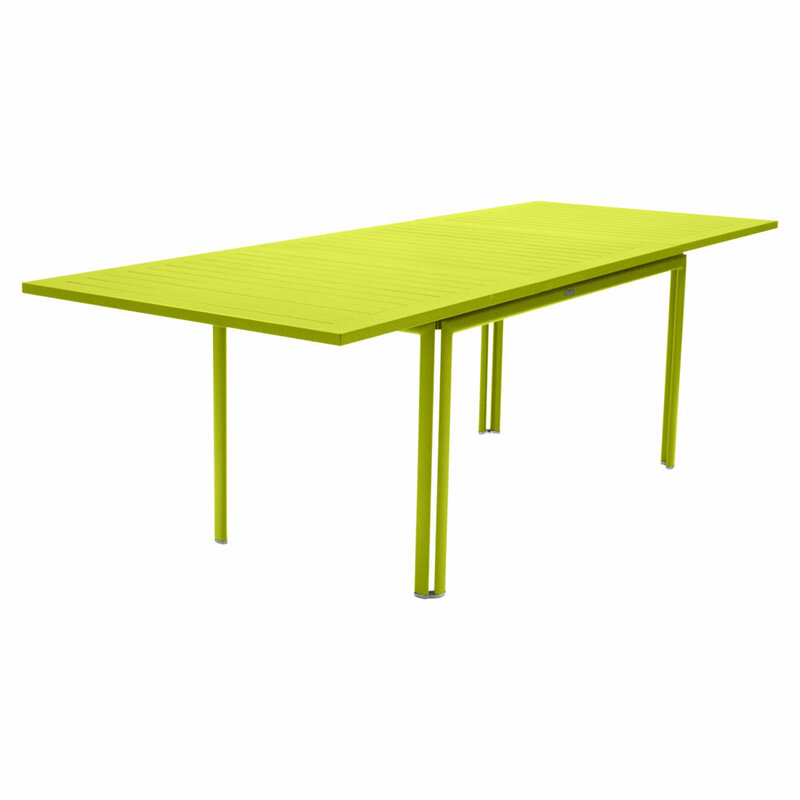 Meet the newest member of the Costa Family, the 63x32" Costa Dining Table. Not as large as the Extending Table, but bigger than the 32x32" Square Table. 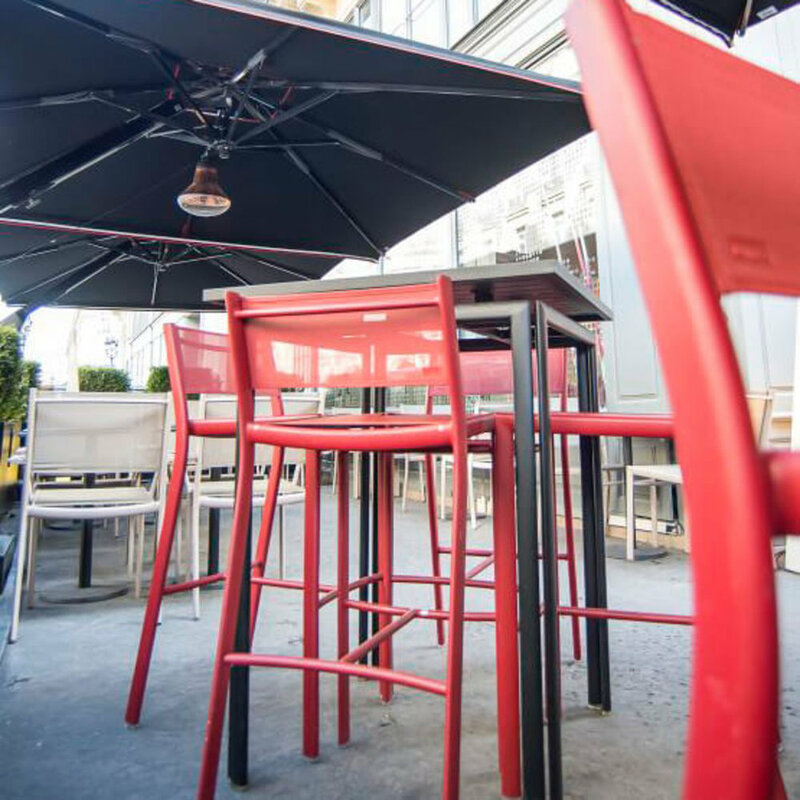 It is the perfect family size for a smaller patio. 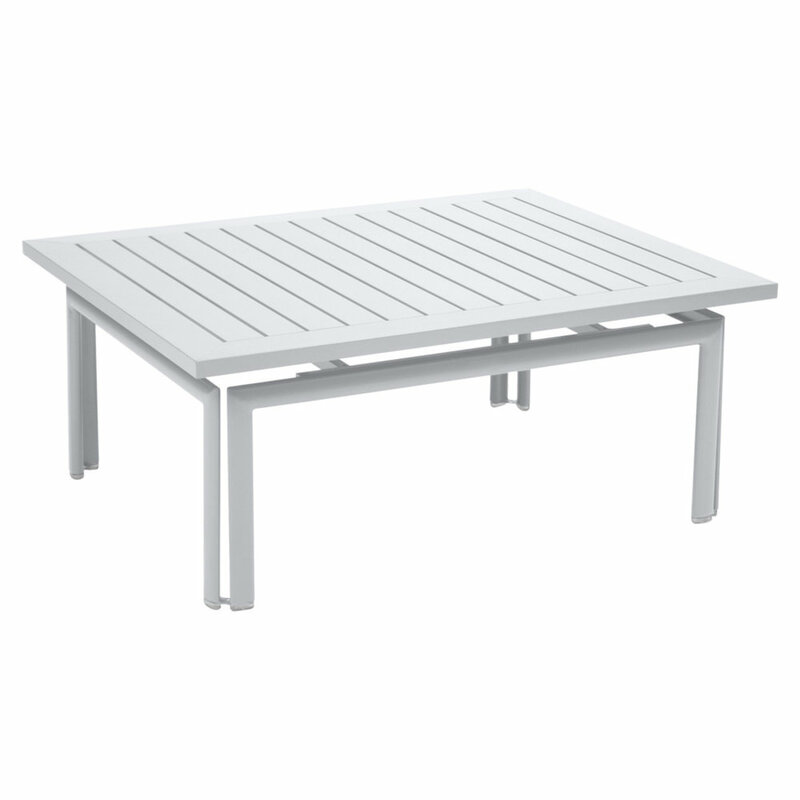 Feel free to combine with the Costa Square Table, as they are the same width. The Costa Table with extension is 93 x 35" when opened. It has an Aluminum frame and table top. It can seat eight to ten guests. 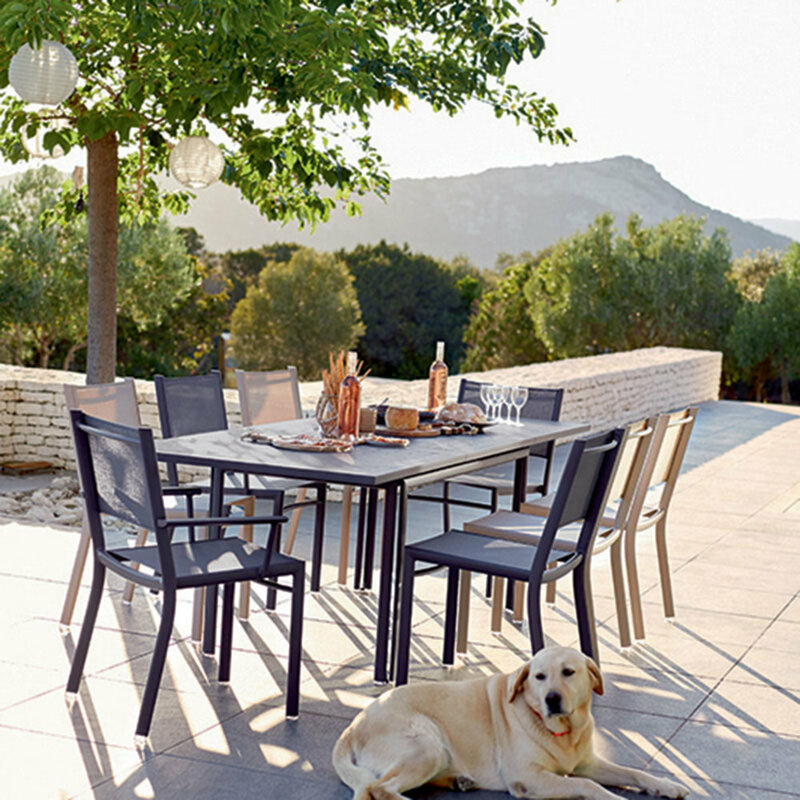 The Costa Stacking Chair and Stacking Arm Chair fit perfectly at this table. This Costa Table is 31 x 31” in diameter and 41” high. It has an Aluminum frame and table top and can seat four people. 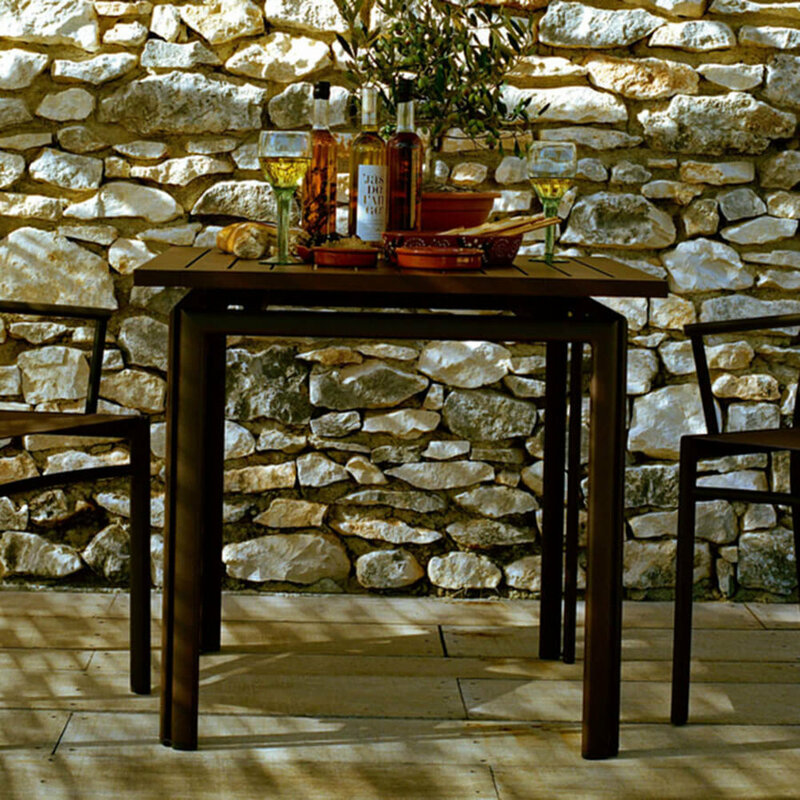 The comfortable Costa High Stool pairs perfectly with this table.